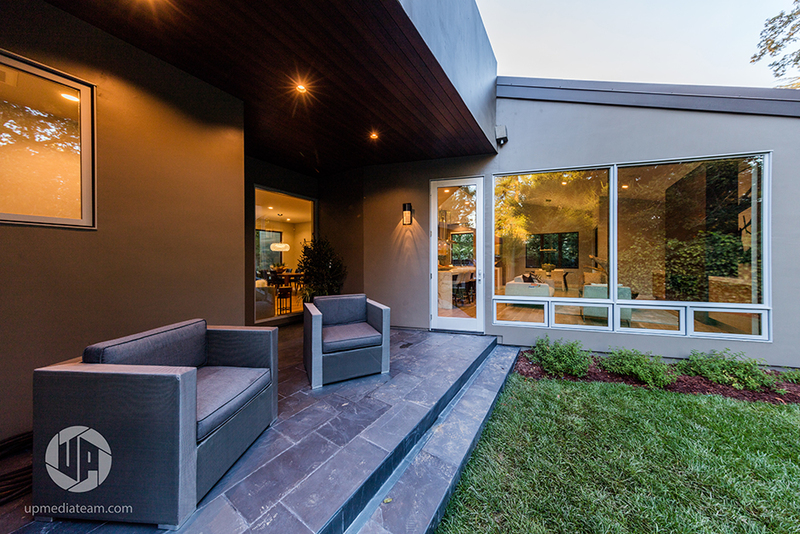 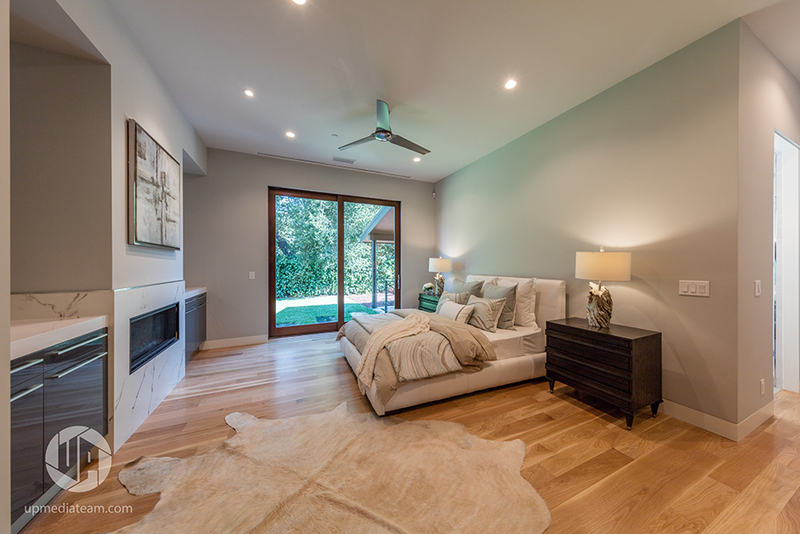 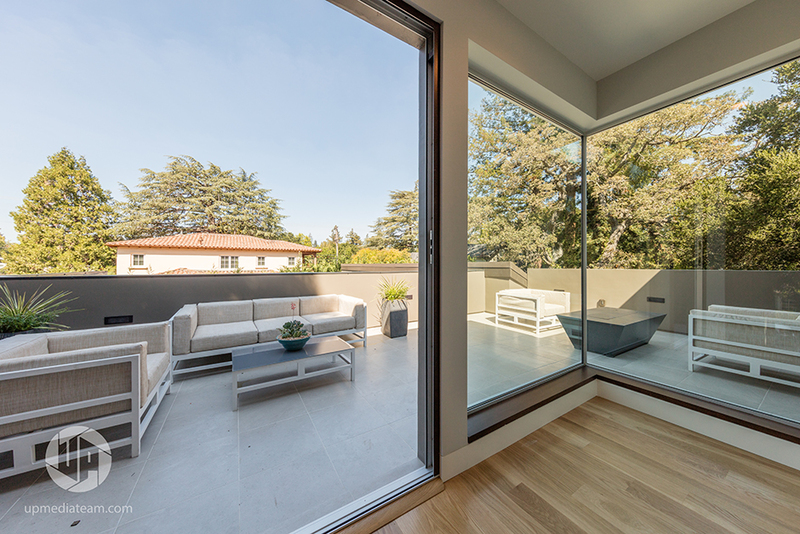 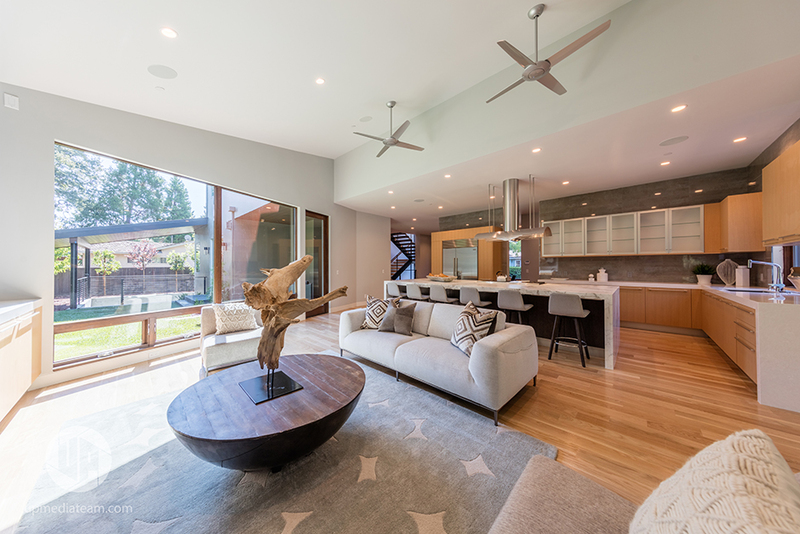 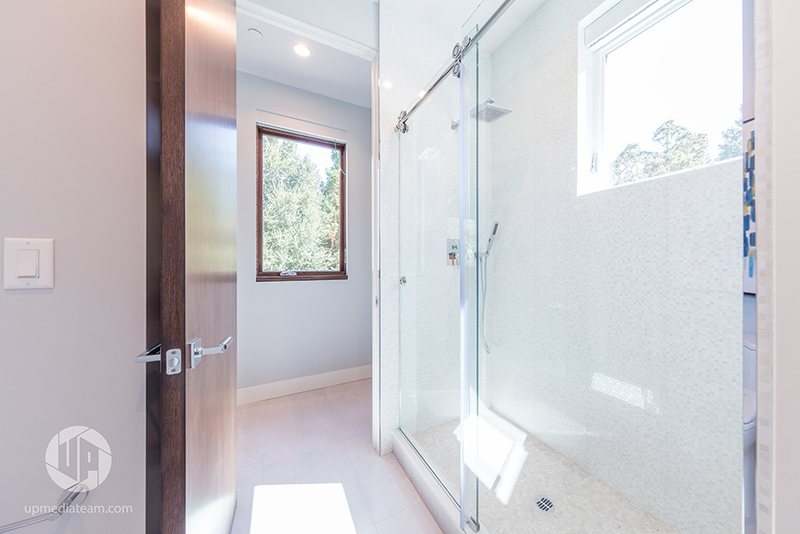 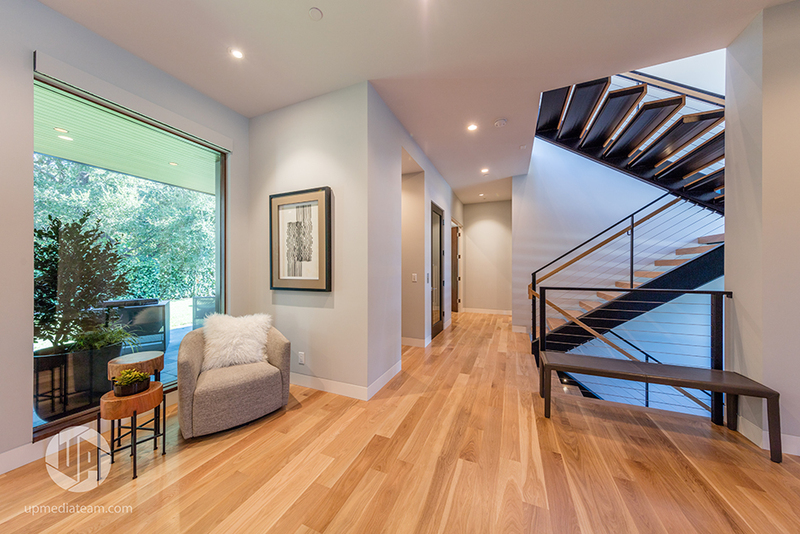 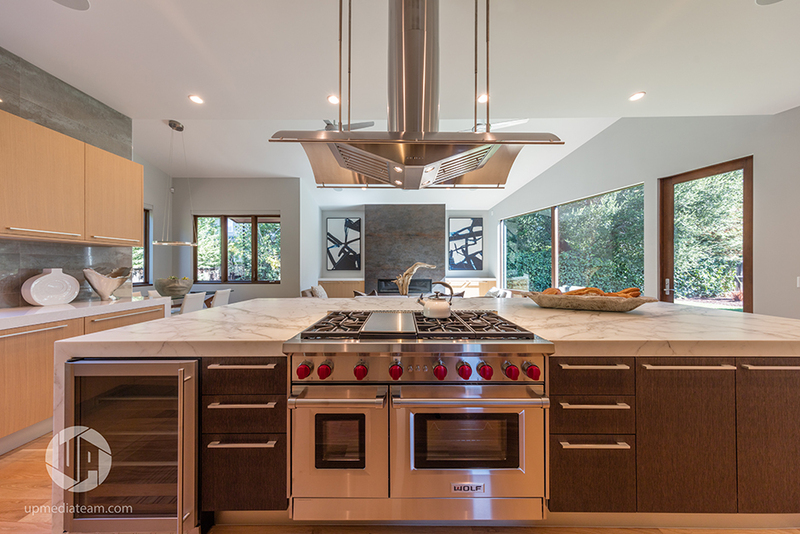 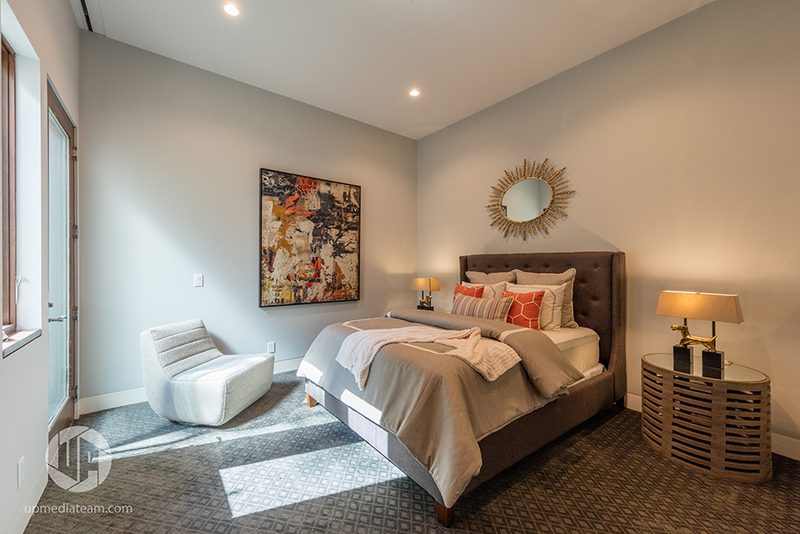 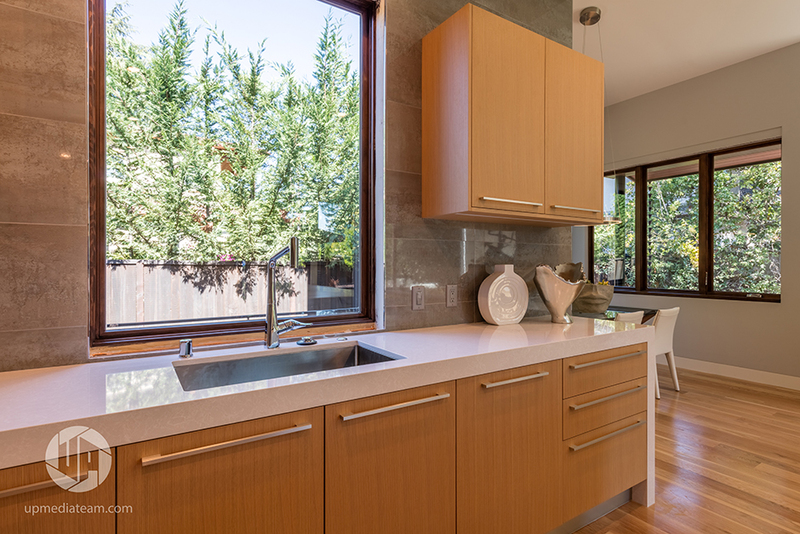 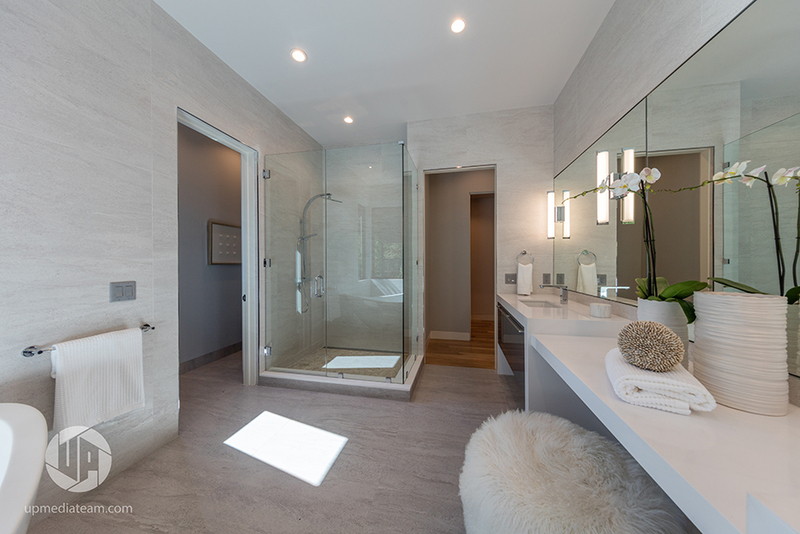 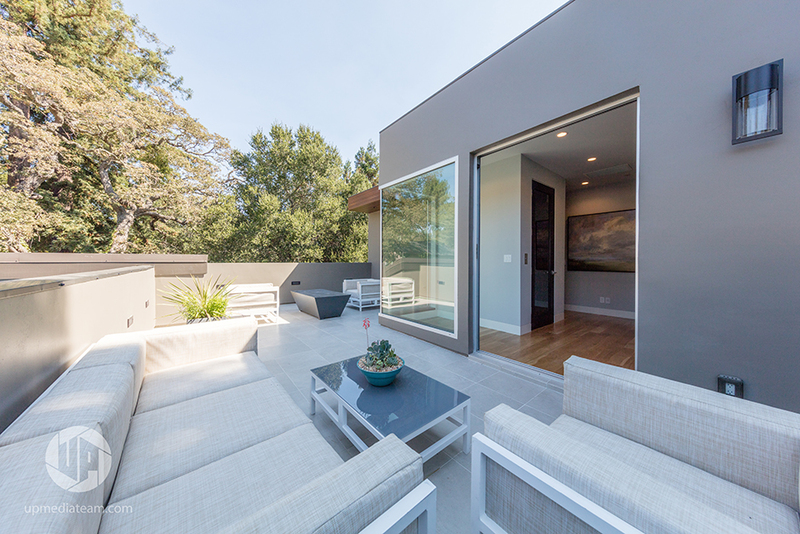 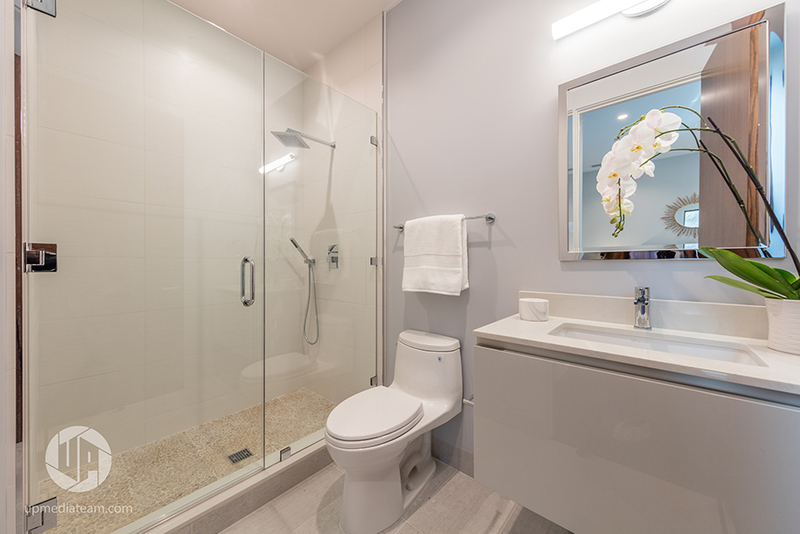 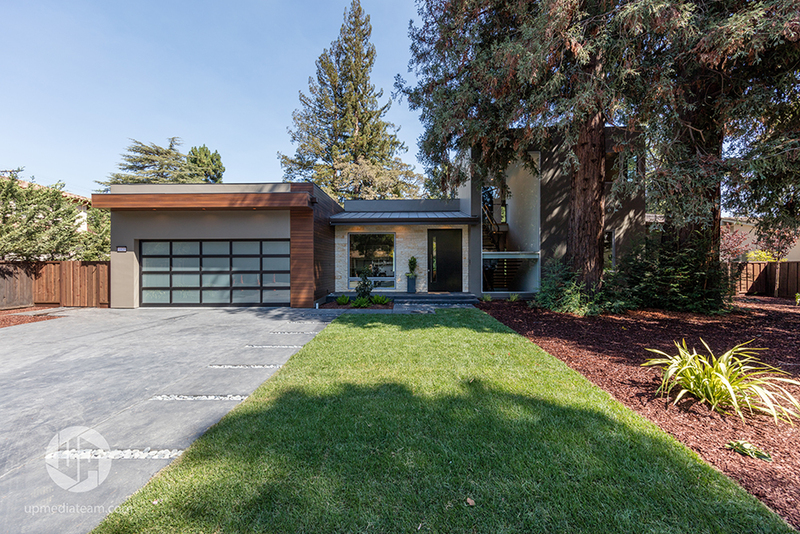 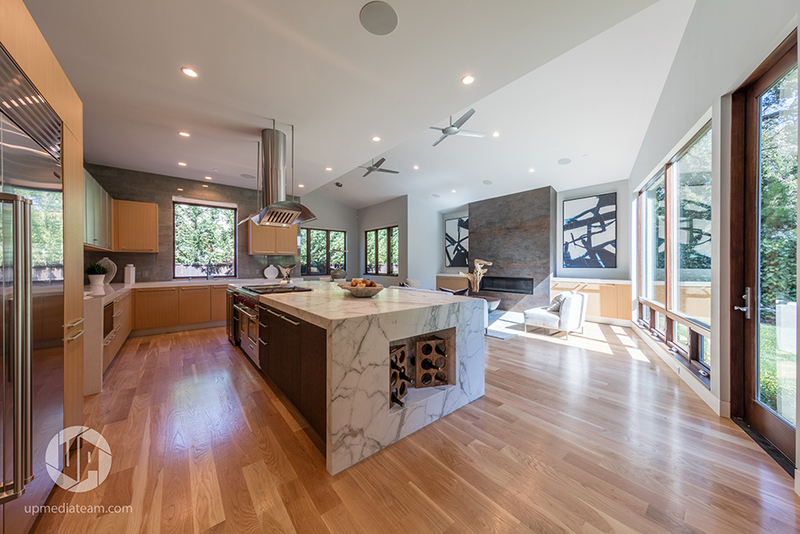 Porcelanosa’s products are an integral part of this single family home located in Menlo Park, California. 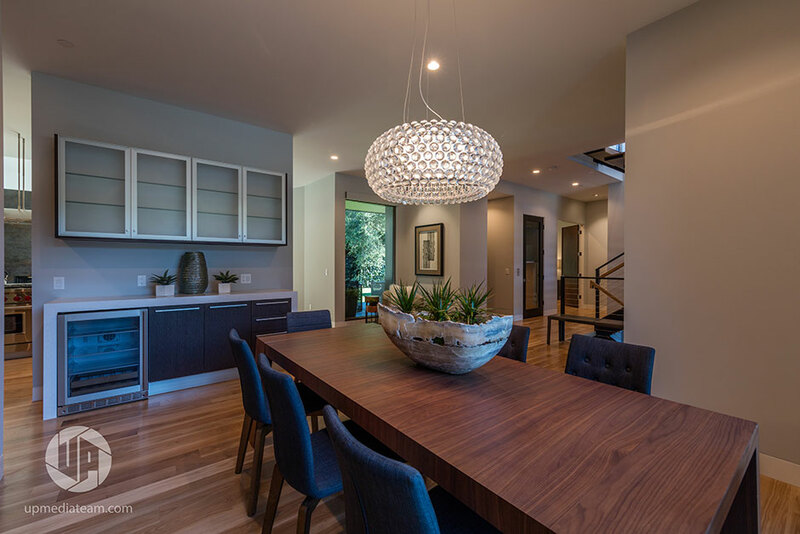 The residence features our products in the kitchen, basement, living room, powder room, bathrooms, wine cellar, and bedrooms. 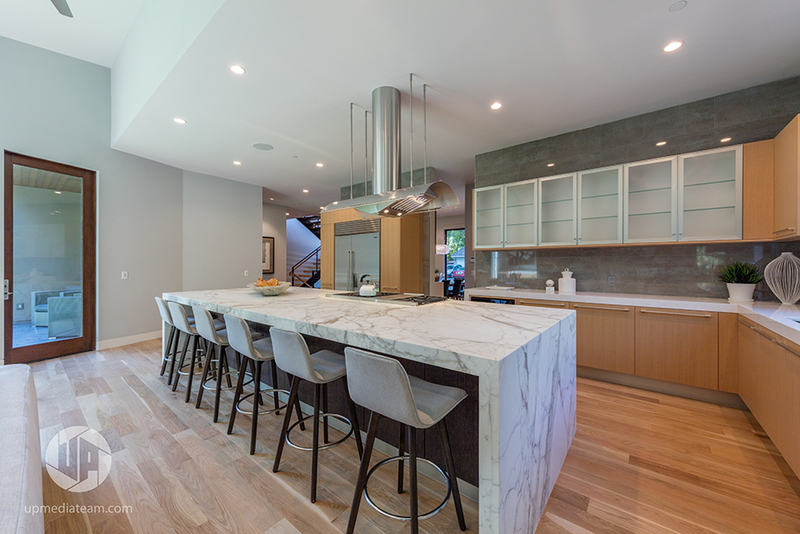 Custom GamaDecor kitchen cabinets in Roble Natural were used for the base and tall cabinets of the butler pantry and kitchen, while the island features our Roble Coco Vintage finish. 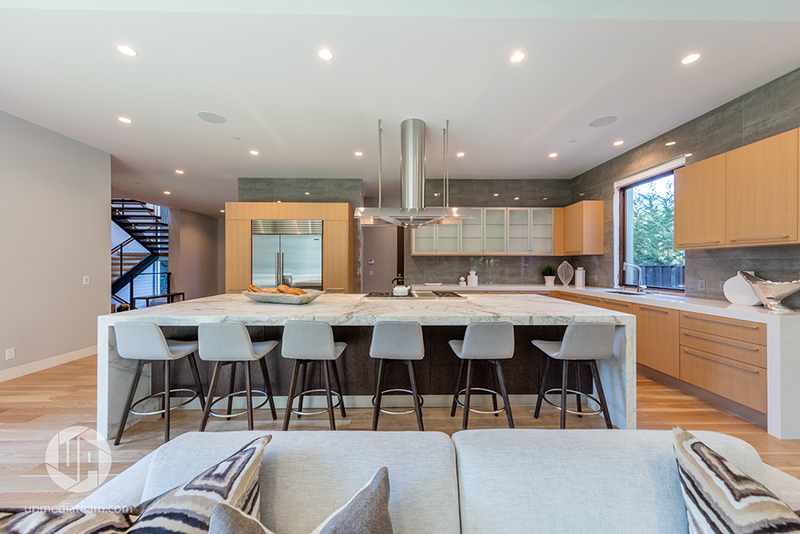 The living room and basement cabinets were created using the same finish as the kitchen cabinets. 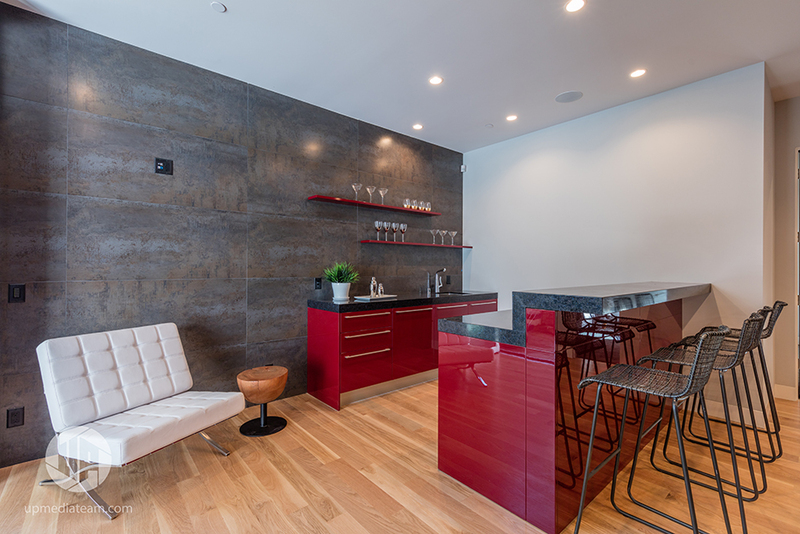 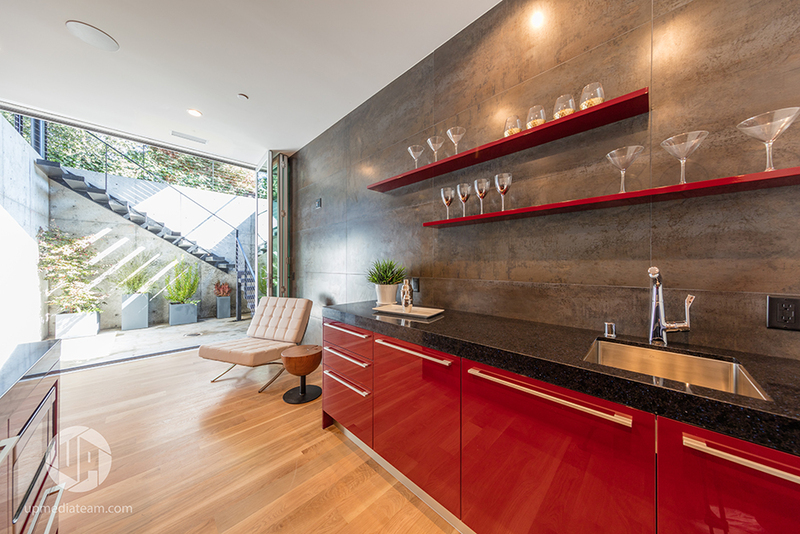 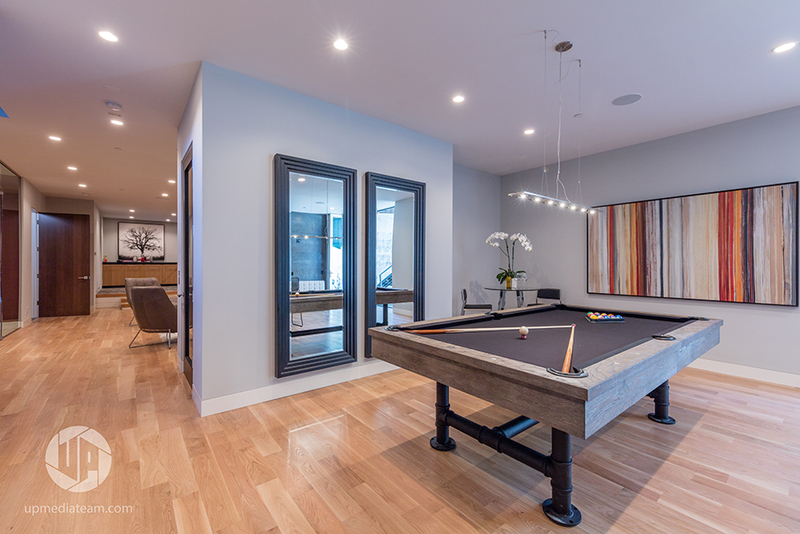 The basement features a bar with our vibrant Cereza Brillo finish. 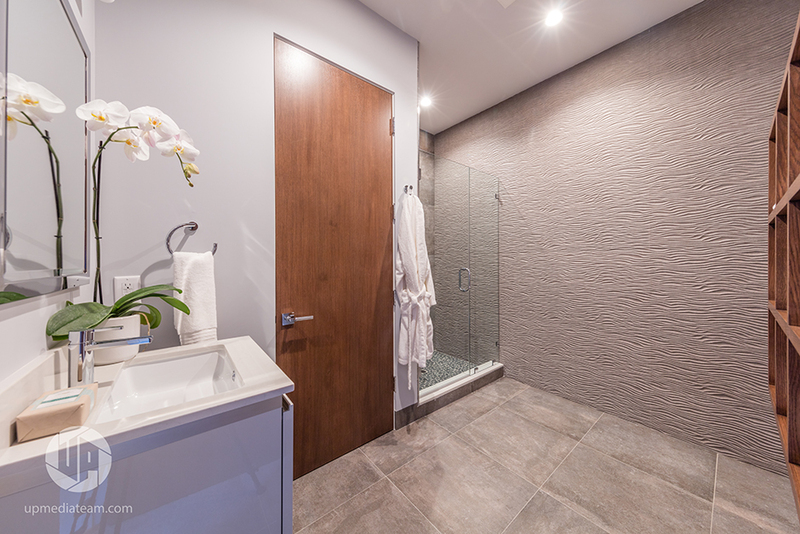 Custom cabinets were also installed in the master bathroom and bedroom breakfast and fireplace area with our Antracita Brillo finish. 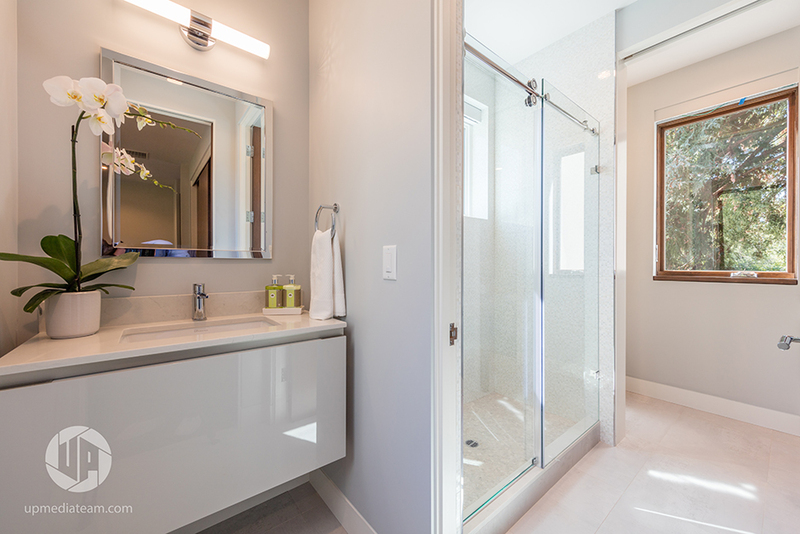 Our Tetris vanities were used in the Jack and Jill bathroom, office bath, master bath, and basement bath. 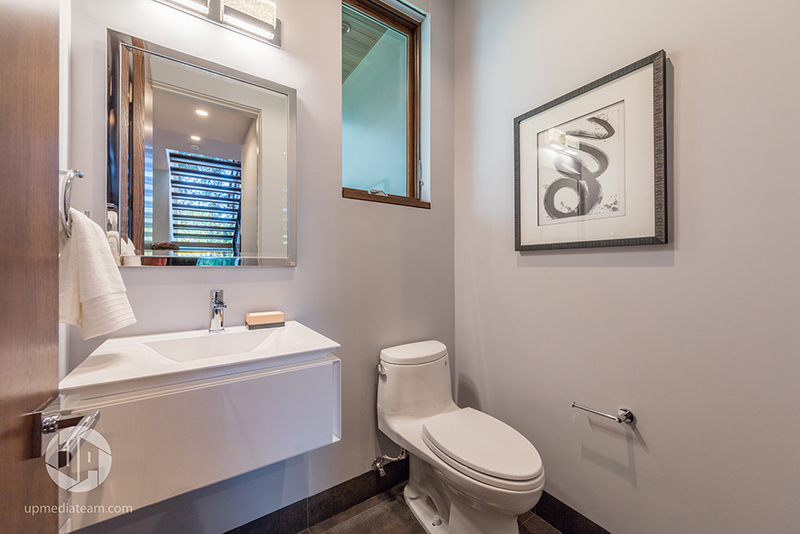 The powder room features our In vanity in Brillo Blanco. 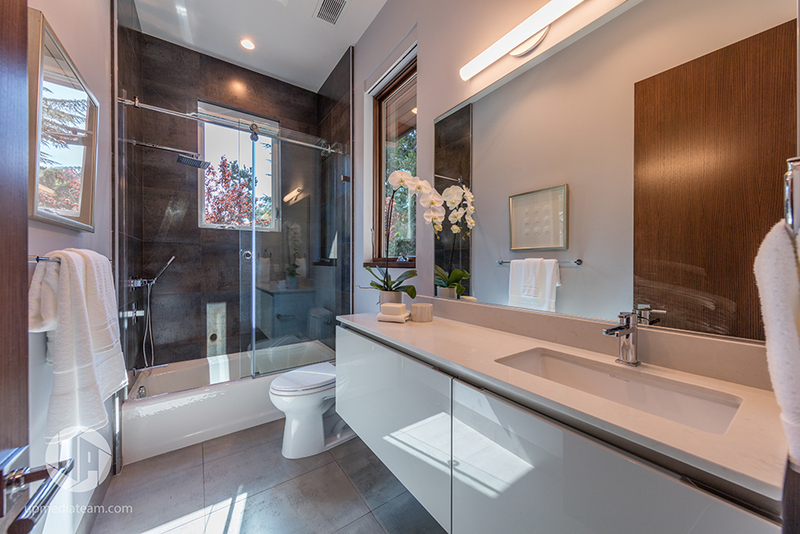 A variet of our plumbing fixtures and sinks were also used throughout the home, as well as a wide selection of tiles.